When it comes to alcohol detox, most patients will enter a treatment facility and go through detox with the assistance of medications. It can be very dangerous to try and quit alcohol use cold turkey without medical assistance. However, some patients do not want to use drugs in order to go through the detoxing process. When this happens, the patient can choose to undergo a natural alcohol detox. This detox option combines vitamins, herbs, minerals and foods that assist the patient in the withdrawal process. The goal of a natural detox is to remove the alcohol from the body without the need for prescription drugs. While this method works wonderfully, one should understand the process fully, such as how the process works and how the body is affected. Patients who opt for a natural detox have found that there are no side effects that would normally be seen due to taking prescription drugs. You are not taking any medication so there is no need to worry about how your body will react to taking medications. A concern for some patients is gaining a dependency on the drugs after detox. Some look at the drug process as substituting one drug for another. If you feel this way, then the natural route is the way to go. For many, natural is the way to go as the individual is making the choice to live a healthier lifestyle. 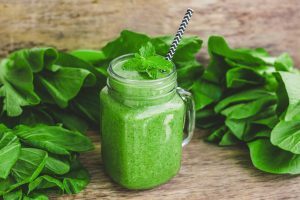 With natural detox, you are removing alcohol from the body as you would during a standard detox that involves prescription drugs but you are using alternative methods. Minerals and vitamins are ingested to help remove the alcohol from the body. There are two main strategies within the natural method; immediate separation and gradual separation. With immediate separation, includes the immediate suspension of alcohol use. You decide never to drink again and the withdrawal symptoms are strongest with this method. You will be given a diet plan and minerals, herbs and vitamins to take to try and alleviate the symptoms. With gradual separation, the patient will still consume alcohol but will cut down gradually over one week or several weeks. Many patients will use beer during this process as it has a lower rate of intoxication but can help with easing the withdrawal symptoms. With both methods, it is important to eat the right foods and take certain supplements to help replenish the body. You will need Vitamins A to E as well as glutamine and magnesium. Supplements such as milk thistle, primrose oil, kudzu, and beta-carotene are all approved options for detoxing. As you go through the alcohol detox process, you will find that withdrawal symptoms can be difficult to get through. Your heart rate will increase along with blood pressure and experience excessive sweating from your body. Headaches can occur along with nausea, vomiting, muscle movements that are involuntary and even hallucinations in some cases. By taking on a simple diet of bland foods, you can help to ease the physical issues associated with detoxing. Unsalted crackers and water are perfect in the beginning as you experience stomach issues. Vegetables and fresh fruits can also be used to help repair your body as it releases the alcohol. Eat minimally to help your body continue to detox. It is essential that you work with a professional when detoxing from alcohol. Professionals in the health industry know how to ease your body into the transition of using alcohol to never using the substance again. For your safety as well as your well-being, it is important to be surrounded by mental and medical health professionals to ensure successful treatment during detox and beyond.